Midnight Bear Breads. 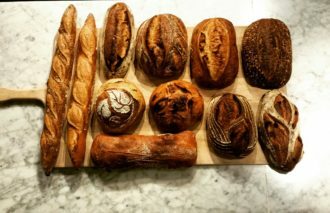 An artisan micro-bakery specializing in European-style breads handcrafted and baked fresh daily in a stone hearth deck oven. Offering fresh breads, croissants, pastries, coffee, pizza and sandwiches. Open for breakfast and lunch. Open late Friday for the weekly art night in Hanapepe town.